Made In Chelsea star Melissa Tattam has come under fire for saying she considers the size 10 bikini’s that she designs to be on the ‘large’ side of the scale. 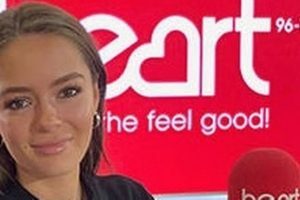 The 22-year-old reality star was taken to task over her sizing when she appeared on Heart Radio on Wednesday and was grilled over her decision to label the size 10 bikinis she designs as “large”. The average size of bikini in the UK is currently a size 16 – with Melissa’s views on what should be considered large sparking fury among listeners. The star was speaking of Jamie Theakston and Lucy Horobin when conversation turned to her bikini business – where she charges £160 for a two piece. “The sizing? It&apos;s just the way that I did it,” she said as she was asked about her designs. "I started off the range as a petite range because I&apos;m a very small and I wanted to cater to that&apos;s. There are lots of other brands that cater to larger sizes,” she offered. But Lucy was having none of it, and said: "Can you see how people would look at that and maybe feel offended or be bigger than they are? I would say 8-10 is a small." Melissa’s comments did not sit well with Heart listeners, who took to Twitter to blast the reality star. Many praised host Lucy for challenging Melissa on her size options. “Thanks to @LucyHorobin for raising the issue of sizes on the show this morning, when chatting to Made in Chelsea’s Melissa Tattam about her swimwear range. A 10-12 is NOT large and it is right to call this out,” one listener gushed.